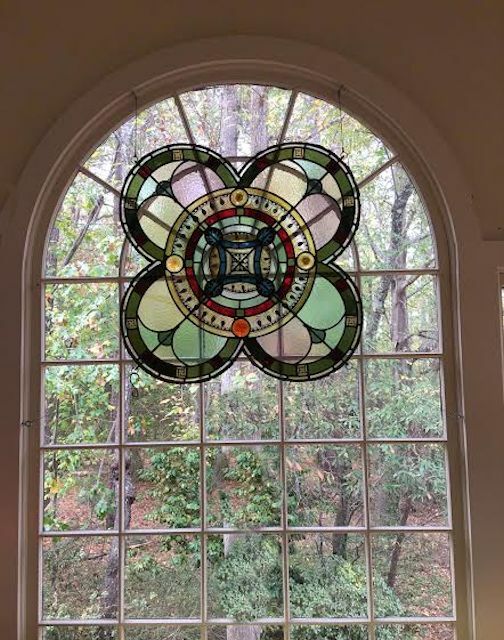 I really enjoyed going to the Southern Hands Artist Studio Tour. My across the street neighbor, Andrea, was one of the artists and she sent out a neighborhood notification for people to attend. I’m sure glad I went. 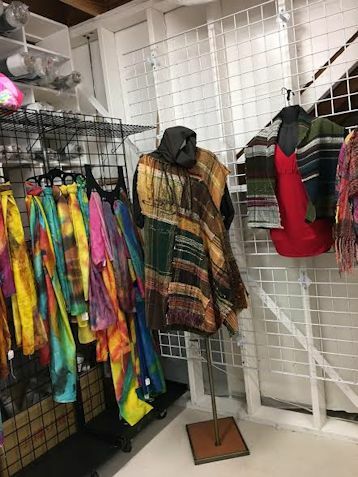 I had no idea we had this many talented artisans living in our community. The great thing about this event is that you get to tour the artists’ studios rather than just buying their artwork at a show. Andrea Faye is a clay artist. 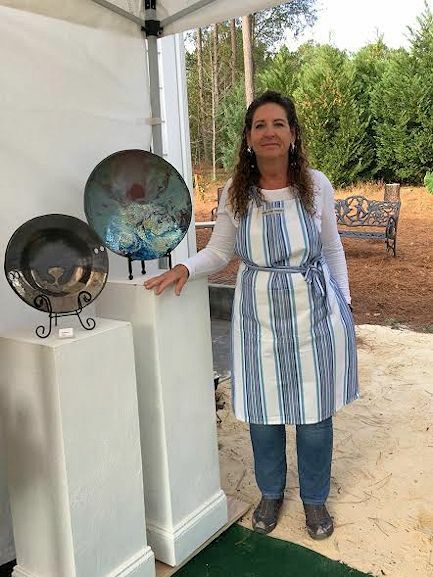 Some of her most stunning pieces are made by using the Raku firing method. The colors are vibrant and unique. Andrea has pottery for everyone. Her prices range from $3.00 to over $300. You are sure to find something you can’t leave without. Andrea also teaches classes so you can make your own one-of-a-kind masterpiece under her expert guidance. 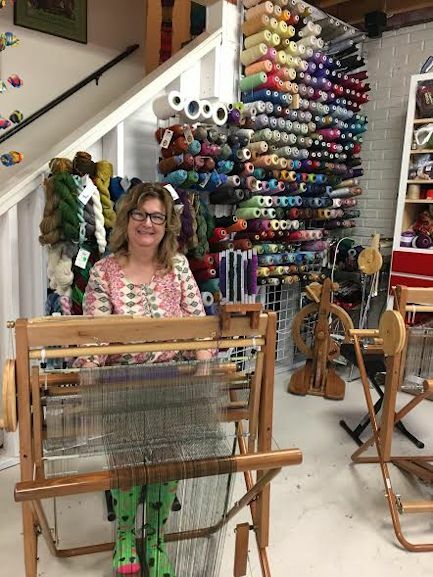 Another stop we made was with Denise Prince and her weaving studio. 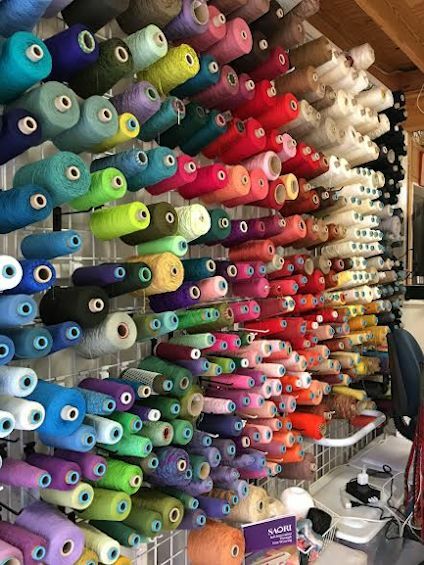 She has an impressive wall of thread as you come in the door. The fun of this tour was that you got to try out some of the artwork yourself. Within minutes of arriving, I was sitting at a loom weaving. 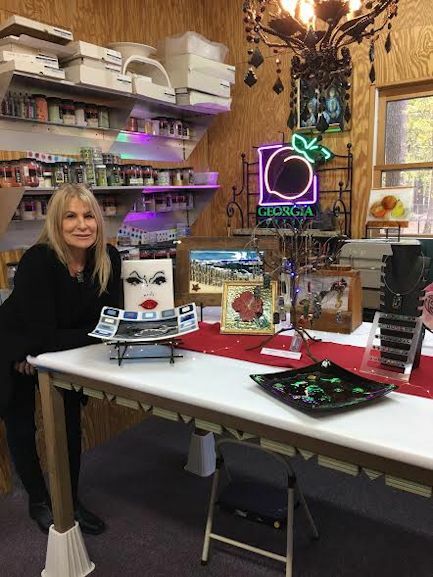 Denise also teaches classes in addition to selling her products. Mikaela traveled from Boca Raton to be at this show and to weave with Denise. Mikaela goes by Spirit Soul Dancer on Facebook. 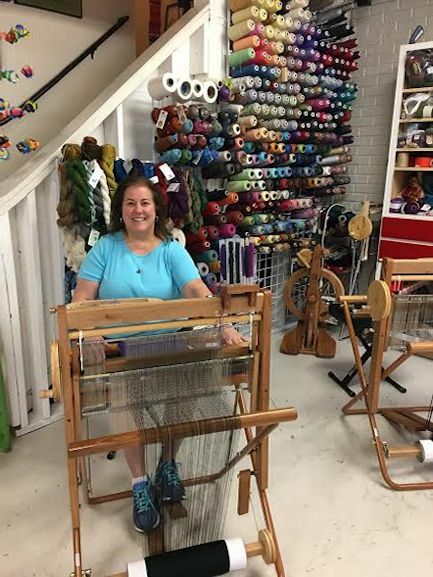 Denise has 7 looms and can accommodate quite a few weavers at a time. Additionally, she hosts spinning groups and they spin their own thread, too. Her husband, Hanley Lewis, also has a studio in the garage for wood turning. He has gorgeous bowls, pens, hats, and much more. This is a wooden cowboy hat! Our next stop was at a studio for fused glass. Gail Jensen is an artist and teacher just down the road from me. 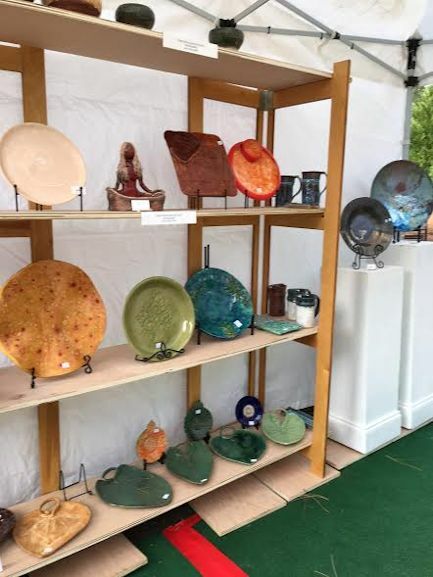 She has a giant kiln and can make glass art both large and small. I can’t really show everyone all the goodies I bought at the stops because they may be seeing them at Christmas, that is, if I can part with them. Gail’s backyard was interesting, too. 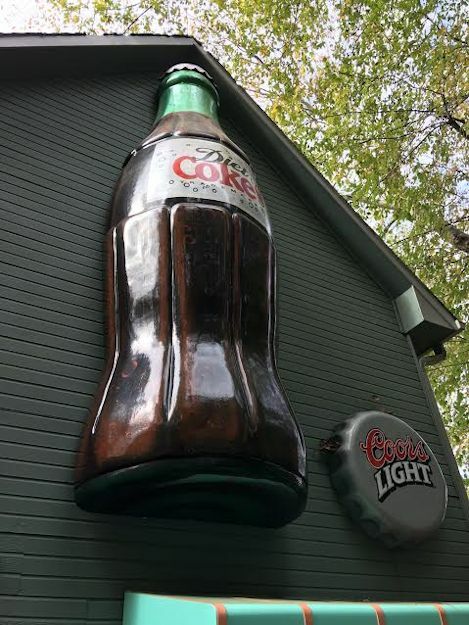 This giant, I mean really giant, Coke bottle adorned the back of their house. 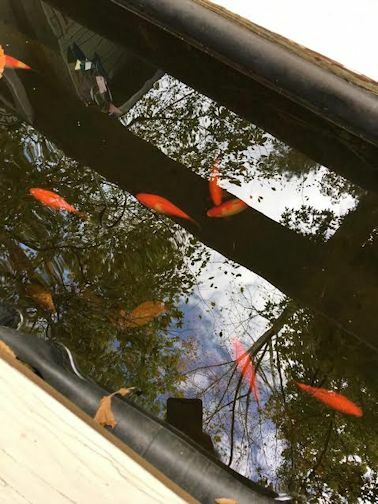 In front of that was a Koi pond. 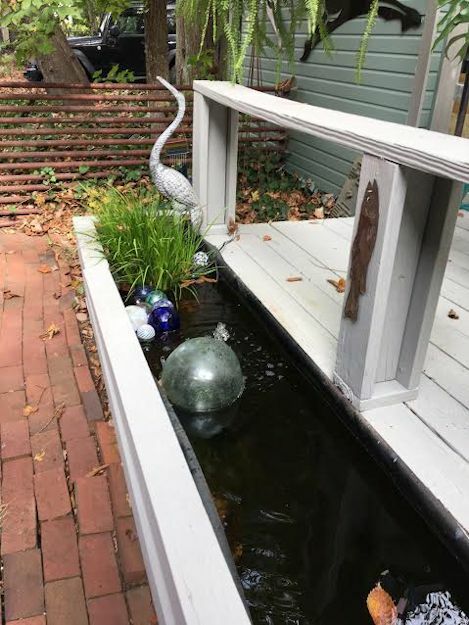 What a great way to have a small pond without digging up your backyard. I would love to try this although my cat would probably enjoy scooping them out and eating them. Aaagh! 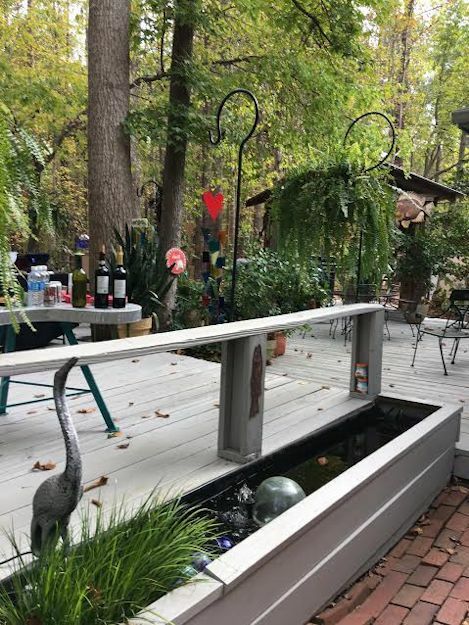 She had art all around her backyard, some for purchase and some for her own personal enjoyment. 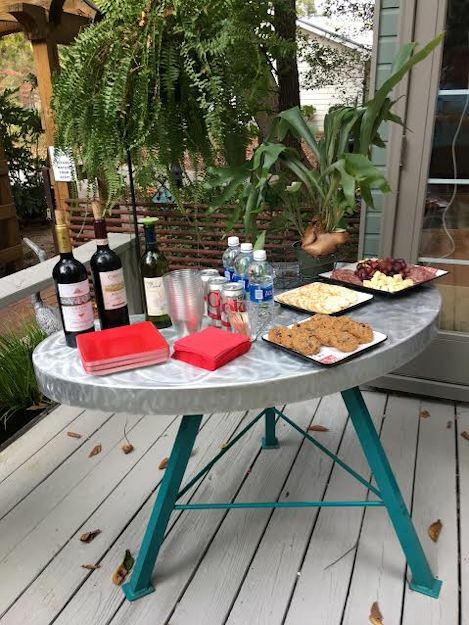 Each stop served refreshments and had extra people on hand to explain the processes and help you with your purchases. 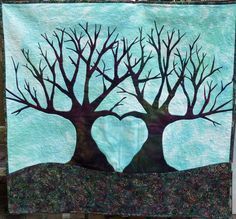 Next, we went to a quilting artist, Kathy Schultz. I did not take pictures in there but she specializes in fiber arts and free form quilting. I got this photo from the internet. I don’t know who to give credit for the photo. Maybe Kathy herself. Kathy demonstrated her quilting technique while we watched. 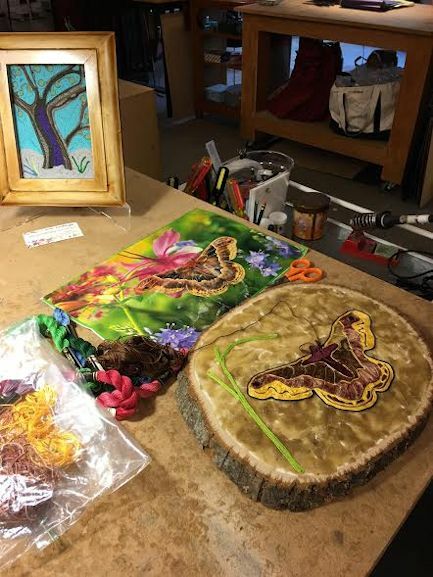 Our last stop was at Cathy Spitz’s home and her stained glass and fiber mosaic art. 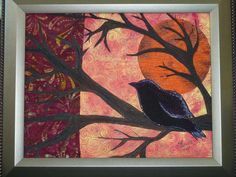 She said she learned how to do the fiber mosaic art on a trip to Mexico. You take a piece of wood and put wax on the top. Then you press glossy threads such as embroidery thread into the wax to make an image. We got to try our hand at that, too. 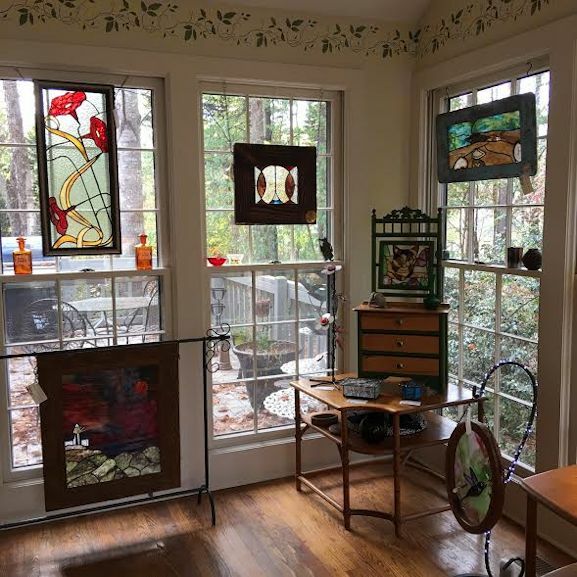 Cathy also makes beautiful stained glass pieces. She offers classes, too. My favorite was this one in her sunroom. If I took classes, this is what I would want to make. Julie: How fabulous are these art pieces…so lucky to live in such a talented area.